IT IS INDEED with a heavy heart that I say goodbye to Jinky Singson. I have no idea who she (or he?) is, and likely he (or she?) has no idea who I am. 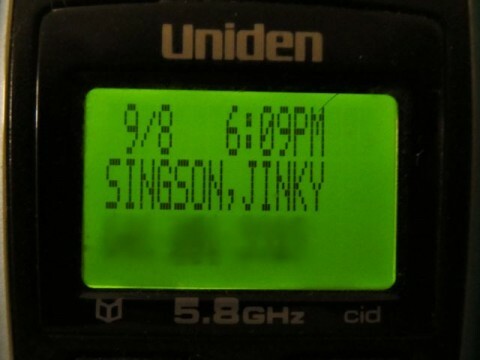 But nearly two and a half years ago, way back in 2009, on the eighth of September, at precisely nine minutes after six in the evening, Jinky called me – and her (or his?) name and phone number (dutifully obscured below) appeared on my Caller ID. I suspect Jinky dialed me in error; either hitting a wrong button on his (or her?) keypad, or perhaps trying to reach the production company that had this number before me. Jinky Singson’s musical name – say it aloud, see how it truly dances off the tongue! – so tickled me that I could never bring myself to delete it. Oh, I’ve wasted no time in erasing from the display the name and number of everyone else who’s called me as soon as I’ve reviewed them. But not ol’ Jinky’s. Never. And sure, I could have called Jinky back, introduced myself and gotten to the bottom of the mystery as to who she or he is and why he or she called, but I never did. Nor have I Googled the name or number. There’s something to be said, in this age of instant information, for riddles that remain unsolved. Am I so presumptuous to believe I have a right to the answers of all life’s questions? 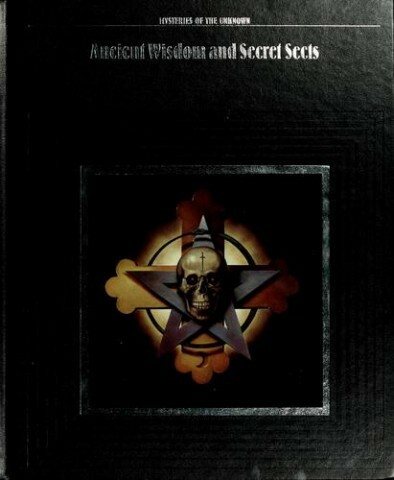 I think we both agree that if I did, I wouldn’t have canceled my subscription to Time-Life’s Mysteries of the Unknown after the second volume (“Ancient Wisdom and Secret Sects”) when they started costing full price. Or perhaps he (or she?) is the W.C. Minor to my Dr. James Murray. Or vice-versa. Without one of us trying to compile a dictionary (as far as I know) while the other is locked away in an insane asylum (Christ, I hope not). Or maybe…! Just maybe Jinky doesn’t actually even exist, and she (or he?) is the Sabine to my Griffin. Why, you ask, why, now, after so long, am I finally saying a sad farewell to the name of a perfect stranger that I have come to know as a trusted friend – always there, never farther away than a click of the “CID” button on my cordless? The damn phone broke when I dropped it. Posted by Ted on March 24, 2012, 4:00 AM.